With the media onslaught of movies and video games, you may have thought reading was a lost art. I would have had thought the same, but these figures show that more people are reading than before. Perhaps it is because there was just a lot less books back then? 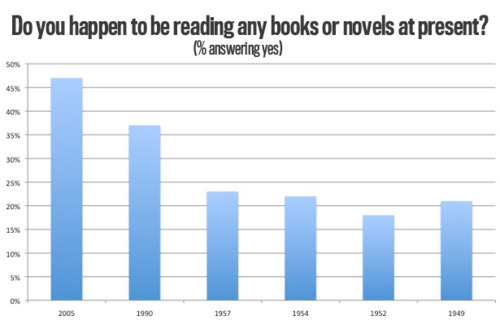 But as recently as 1990 the poll show the reading rate was much lower at 37%. What do you think is causing more people to read? MORE BOOKS: Is just more books in print? MORE ACCESS: Affect of easy purchase through sites like Amazon and eBooks through iTunes? 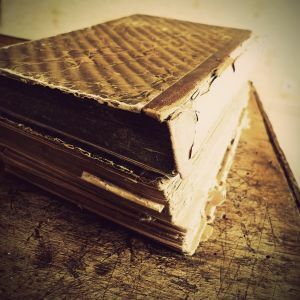 MORE SHARING: Is it the proliferation of communication mediums like the internet where we can share our thoughts on books on forums and Facebook? MORE GADGETS: Perhaps more gadgets like Kindles and iPads to make reading easier (and cooler) than ever? MORE BLOCKBUSTERS: Is it the popularity of big series like Harry Potter and Hunger Games? Clean Cut Media’s Take: More people are reading books because of one word – “EASY”. It’s easy to find out about new great books through the internet. It is easier to read up on numerous book reviews and peer reviews through websites, forums and social networking. It is easier to purchase a book. No longer do we go through a local Barnes n’ Noble to find a book and pay $25 for a book when it’s $10 on Amazon Books with a click of a finger. Who is Doing all the Reading? Gender: Female (53%) vs. Male (42%) – 11pt differential! One interesting reading statistic is that those who frequently watch movies tend to also read more books. Watch a Lot of Movies makes you read Less, or More? At first, this may seem counter intuitive since people often bemoan how nobody reads books anymore but rather just watch tv and movies. Yet perhaps the stronger correlation lies in a person’s desire to get lost in a story. Both mediums does provide that avenue in which someone can get pulled into a whole different world. Why do you think there is a correlation of movie watching and book reading? How do People Find New Books to Read? Not much has changed from 1999 to 2005. Below are the % statistics for 2005. I personally rely heavily on User Reviews found on Amazon or in my case on Audible since I tend to go to Audiobook route. Got to be productive on commutes! The Rise of e-Books. Do People Read it? 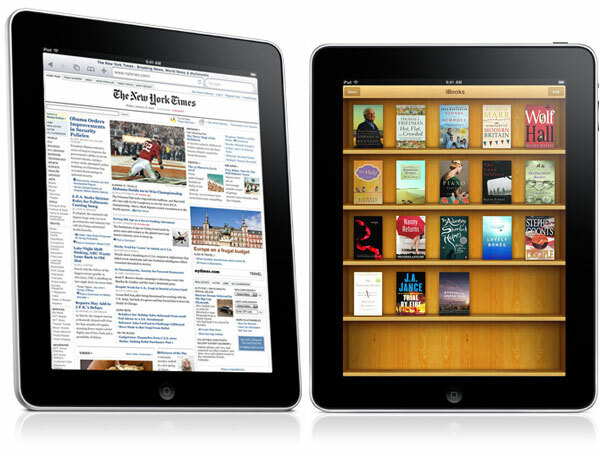 In a survey by Pew Reserach Center, 21% of U.S. adults said they have read an e-book within the past year. 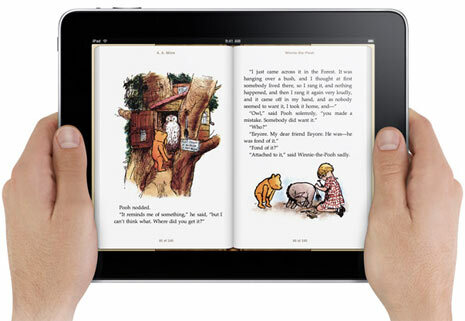 As Kindles & iPads become more and more popular, more people have been getting into e-books. The average # of books read by a reader of e-book is 24 books compared to 15 books for those who only read print. What do you think about these stastistics? Why do you think more people read now then before? 0 - Books? What Books? 2-3 - Whenever I get a chance. 4-10 - Can't get enough! 11+ - I read like there is no tomorrow! It’s good to know the spirit of reading books is alive and kicking. I love books and can’t image life without them. I am a reader big time. I really have no preference between ebooks or normal books. I like them both for different reasons. But overall they have the same words so I don’t mind. I’m sure you can get a lot of vote..People will love to read your books..Thanks for sharing this post to us.. I really have no preference between ebooks or normal books. Love seeing the poll results. Thanks that you’ve shared. Interesting post. Easier access to books, and the recent popularity of tablets and ebook formats have encouraged more people to start reading. Just look at how eBook readers such as Kindle Fire and the Nook have taken off! And not to forget people using iPads and Android-based devices as eBook readers as well. Certainly makes writing and publishing ebooks on amazon all the more attractive. Might even give it a go myself! Great statistics there btw! Haha, e-books of course. No, just kidding. Coincidentally, I am reading a book at the moment when i saw this post, but that’s very rare for me. I usually don’t read any books, unless I know they’re really good (Like the Da Vinci code). I’m not against gadgets that can turn “books” to eBooks. However, I still opt to read books. The availability of e-books has greatly increased the amount of books that I read. I read constantly. I am horribly addicted to reading!